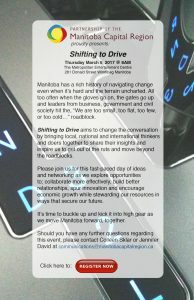 The Partnership of the Manitoba Capital Region (PMCR) is pleased to be hosting Shifting to Drive - an exciting day of ideas and conversation on March 9, 2017 at the Metropolitan Entertainment Center in Winnipeg, Manitoba. 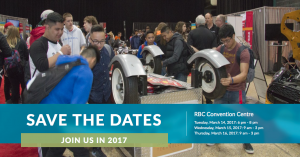 Created to showcase leading industries, employment and educational opportunities in Manitoba and beyond, the Rotary Career Symposium is a unique event to help expand your career possibilities! 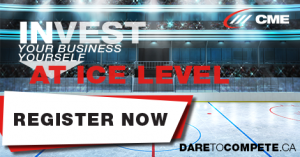 Manufacturing matters on the prairies and CME helps you stay at the top of your game. 15 years strong, Dare to Compete is the can’t-miss event of the year! Hear from special guest Michael Gardiner, Director of Industry Strategy for Siemens Industry 4.0 Digital Factory & Advanced Manufacturing Canada. Learn about some of the strategies companies are using to develop technology and training roadmaps to effectively lay the foundation for Industry 4.0. This open session will provide information on the BQNC and the work that is currently underway in each of the sectors. 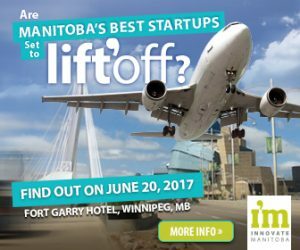 Lift’Off kicks off on June 20, 2017 with the Venture’Challenge startup pitch competition, Manitoba’s premier capital challenge event, followed by the Entrepreneur Power Lunch with a world-class keynote speaker and the Venture’Challenge awards presentations. On behalf of the Local Arrangements Committee of the Canadian Society for Bioengineering 2017 Annual General Meeting and Conference, it will be our great pleasure to welcome you to Winnipeg, Manitoba next summer. Meet composites buyers and engineers from some of the biggest firms in the industry - including Toray, BMW, GE, Boeing, Triumph, Lockheed Martion, GE, and Michelin - at Composites Suppliers Meetings South Carolina.